Anointed with free reign to do as he pleased, Gillette introduced Sherlock Holmes to Alice Faulkner, an original character specifically designed as a love interest for the detective. Set before Holmes falls to his death in “The Final Problem,” Gillette’s script pulled from several of Conan Doyle’s short stories, including “A Scandal in Bohemia.” Fans may find a striking similarity between Alice and a woman from that tale – The Woman – Irene Adler. Similar to Irene, Alice is in possession of love letters from a nobleman. They are addressed to Alice’s sister who, once the object of the nobleman’s affection, died misled and rejected. Sherlock is charged with retrieving the incriminating letters from Alice, but the young woman is determined to use them to seek revenge for her sister. Unlike Irene Adler, Alice does not outwit Holmes and disappear with both the papers and a husband. Rather, she cannot bear to see Holmes humiliated as a failure and gives up the papers willingly to spare his reputation. Ultimately the play established William Gillette as the world’s foremost interpreter of Holmes on stage. By the time he starred in the silent film version, Sherlock Holmes (1916), Gillette had played the character over 1,300 times. 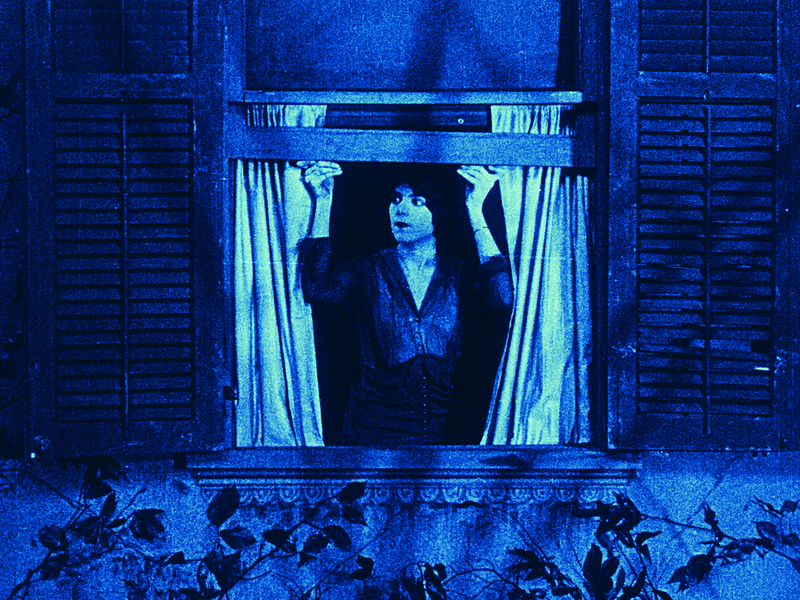 Newcomer Marjorie Kay played Alice Faulkner to Gillette’s Holmes on the big screen. 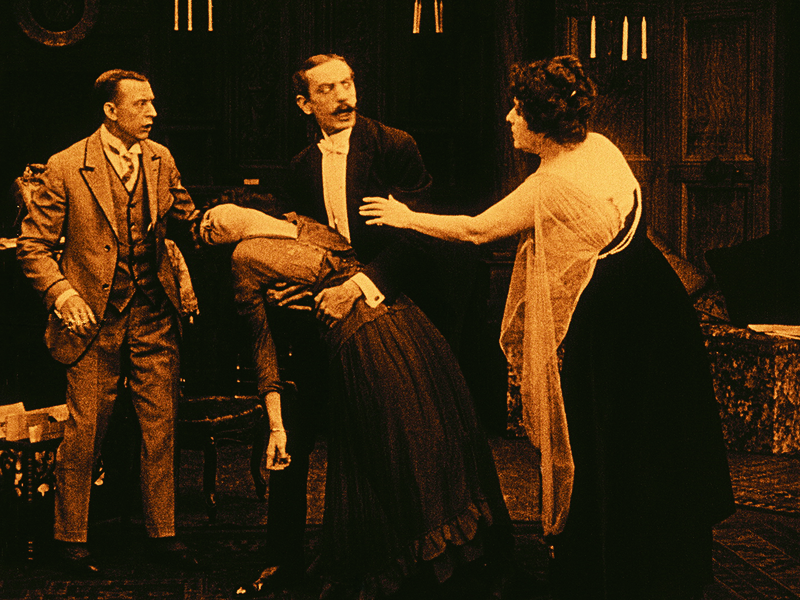 Although Holmes does not utter those three little words in the filmed version of the play, the same romantic ending is implied. The final scene closes with the pair tenderly embracing. 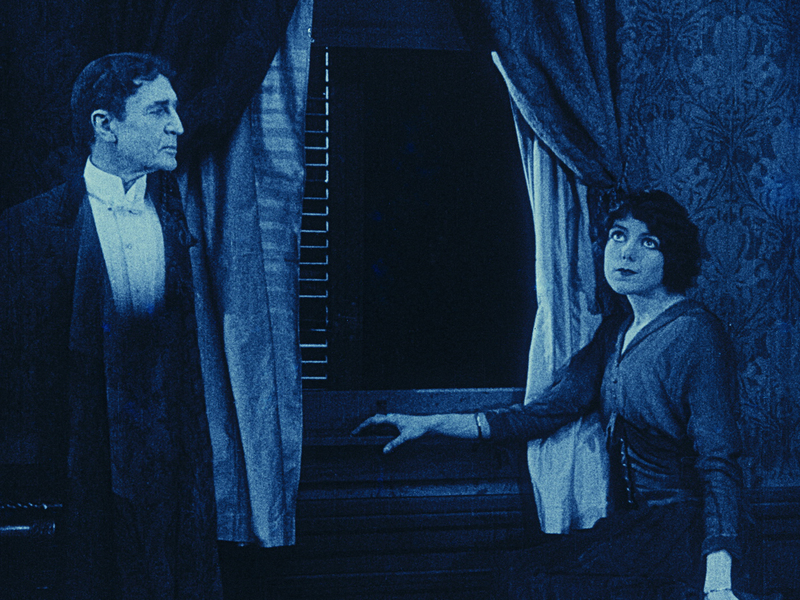 Below are images from the new restoration of this previously long-lost film, featuring the only official love interest sanctioned by Conan Doyle. 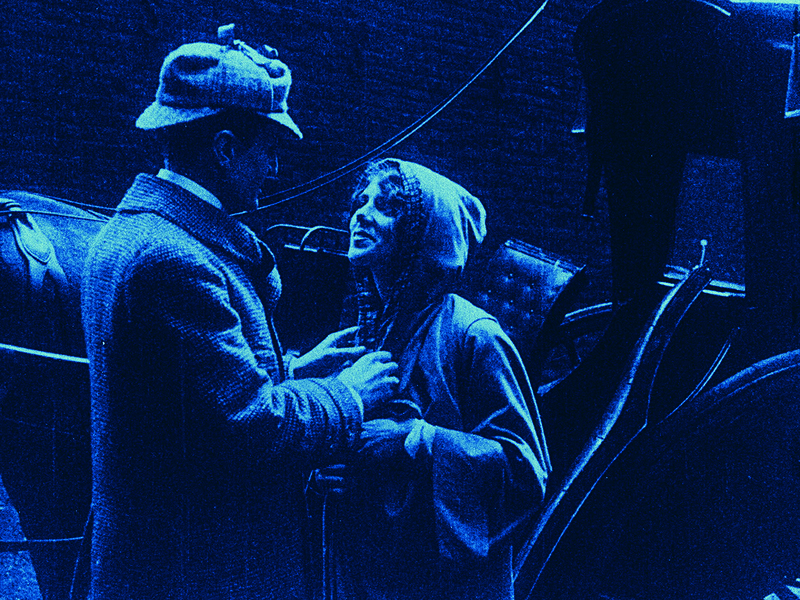 Click through the slideshow below to view images of Sherlock Holmes and Alice Faulkner’s budding romance in Sherlock Holmes (1916), newly-restored on Blu-ray/DVD from Flicker Alley. 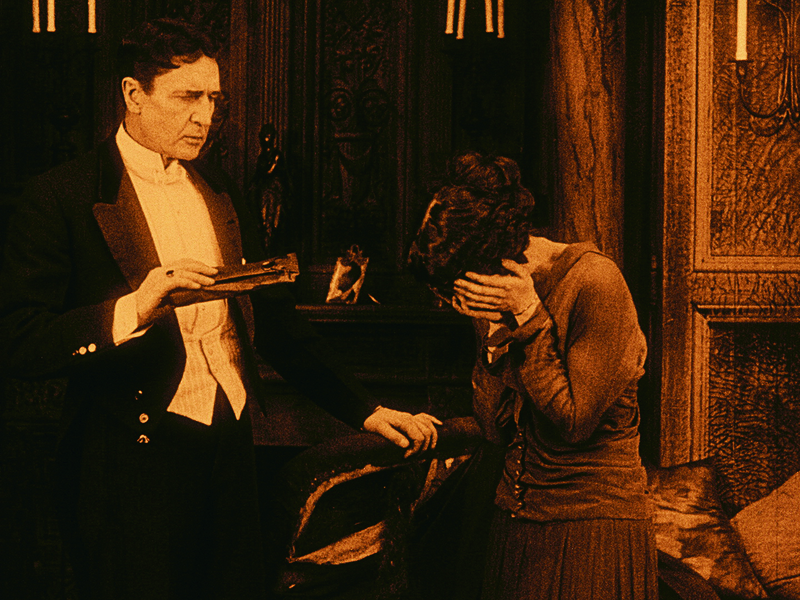 Considered lost for nearly 100 years, William Gillette’s Sherlock Holmes has been newly-restored for Blu-ray/DVD. Order yours today for $5 OFF M.S.R.P.